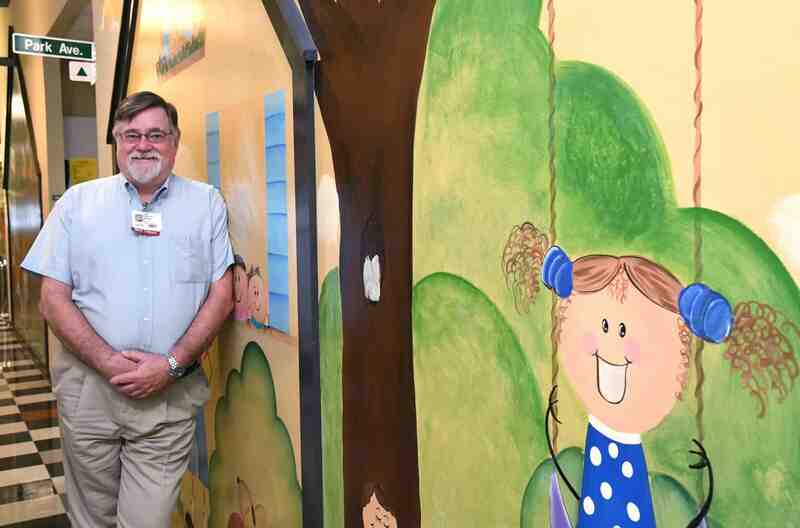 Eldon G. Schulz, M.D., of the UAMS Department of Pediatrics in the UAMS College of Medicine, is principal investigator of an interdisciplinary training program for health professionals with the aim of improving services for children with developmental disabilities. He recently secured $710,000 in grant funding for the continuation of the Arkansas Regional Leadership Education in Neuro-Developmental Disabilities (LEND) Project. July 19, 2017 | July 19, 2017 | A University of Arkansas for Medical Sciences (UAMS) professor has secured $710,000 in grant funding for the continuation of an interdisciplinary training program for health professionals with the aim of improving services for children with developmental disabilities. UAMS has directed the Arkansas Regional Leadership Education in Neuro-Developmental Disabilities (LEND) Project since 1994, funded by grants from the federal Health Resources and Services Administration. As many as 15-18 percent of children have developmental and/or behavioral problems. This grouping includes autism spectrum disorders, which impact one in 65 children in Arkansas. Eldon G. Schulz, M.D., of the UAMS Department of Pediatrics in the UAMS College of Medicine, is principal investigator of the program and administrator of the grant. Thirty-two postgraduate trainees from 14 disciplines – ranging from audiology to nursing to psychiatry to health administration – complete a two-semester, 300-hour curriculum that includes classes, problem-based learning, clinical rotations and research and leadership projects. “Our trainees are the cream of the crop in their fields, and we want tomorrow’s leaders in health care to already be thinking of ways they can intervene – be it as citizens or as professionals – on behalf of these families and children, with the ultimate goal of improving their treatment and their access to care; improving their lives; expanding their future possibilities for joining the workforce and participating in society,” Schulz said. UAMS partners with the University of Arkansas at Fayetteville, University of Arkansas at Little Rock, University of Central Arkansas and the University of Southern Mississippi for the program. These institutions host the trainees’ coursework and provide faculty and mentors for the participants. Partners for Inclusive Communities, which is the University of Arkansas at Fayetteville’s Center on Disabilities program, organizes and administers the program. Schulz said the LEND program “fits in beautifully” with UAMS’ overall mission as the state’s primary health sciences university. LEND trainees have access to 25 different clinical rotation options, including some in rural Arkansas. Schulz has taken trainees to Marshall, Mountain View and Dumas, for example. “They are experiences that are very much based in the real world and can be quite eye-opening,” Schulz said. Part of the learning structure is for the trainees to learn by teaching. They take turns at periodic meetings teaching each other about things they’ve learned, and they also partner with a faculty mentor to teach students at Hall High School about different health care professions. Portions of the program are also available to health professionals and state disability services professionals as continuing medical education. More information is available from from Partners for Inclusive Communities at 800-342-2923, deere@uark.edu.